2 Movie Tickets with Blood Donation - Who Said Nothing in Life is Free? 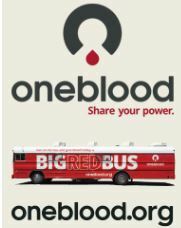 Stop by the Big Red Bus at Waterford Lakes. It will be there Friday, Saturday and Sunday from 10am to 10pm. All successful donors will receive TWO Fandango movie tickets! An appointment is strongly encouraged at this location. Please, be a HERO this weekend and donate blood.